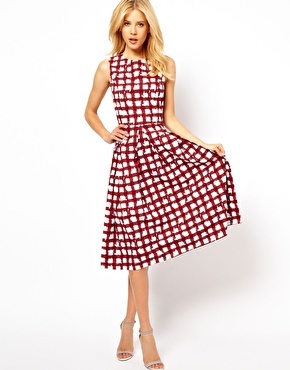 My favourite style of dress right now has to be the skater dress. The style is very feminine, fun and I love the floaty skirts. I could sit here all day and post my favourite ones from various stores (and maybe i will one day) but the one below has really caught my eye. I love everything about it from the structure of the dress, the colours and it is the perfect length so that you could wear it during the day and at night. It would look great with heels or a pair of flats.